A Quick Reaction Procurement (QRP) addresses purchase orders of less than $3000 is limited to non-production items, supplies, services and covers materials that are typically needed as soon as possible and where minimal inspection is required. In 1991, Lockheed Martin Tactical Aircraft Systems (LMTAS) decided it needed to streamline its procurement process for orders under $2500 to reduce the costly related administrative costs. While developing a system, LMTAS researched the Federal Acquisition Regulations (FAR)Part 13.103 for guidance and discovered that the FAR does not prohibit the awards of contracts up to $2500 without competitive bids if the price is determined to be reasonable. The company then reviewed its existing material department procedures for purchase order placement, documentation, archiving/storage, and associated costs and determined that there was no specific procedure that existed for small purchases. 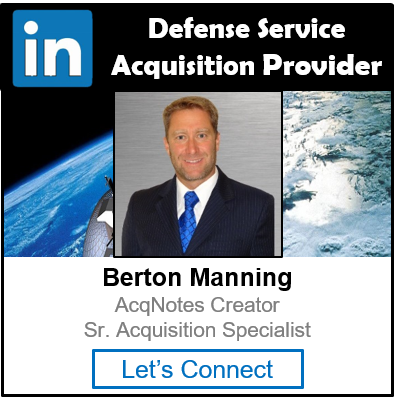 From this review came the development of the Quick Reaction Procurement process. A new procedure was developed specifically to address purchase orders of less than $2500. The criteria for source selection and price justification were based on buyer judgement, price/award history, and market conditions. The system incorporated on-line documentation, signature authority, eliminated storage space, reduced hard copy requirements, and blanket purchase agreements were established to streamline the process. The Quick Reaction Procurement is limited to non-production items and covers materials that are typically needed as soon as possible and where minimal inspection is required. Through the Quick Reaction Procurement system, LMTAS can reduce administrative costs significantly, reduce order time, and ultimately provide a better product to the customer.